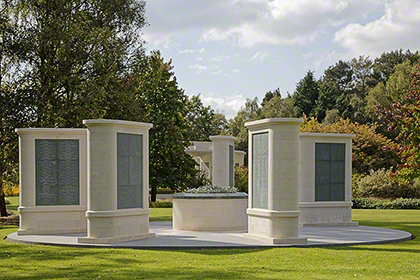 The Brookwood 1914-1918 Memorial is dedicated to the memory of more than 260 First World War servicemen who died in the United Kingdom and Ireland, or at sea, but who have no known grave. are shown here in high definition. 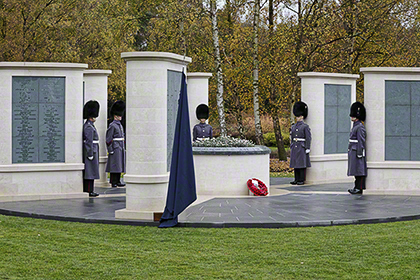 The Memorial was unveiled on Wed 4th November 2015 by HRH The Duke of Kent KG CCMG GCVO ADC at a ceremony attended by Descendants of those commemorated, VIPs & representatives of armed forces from across the world. Many of the names are of newly recognised war casualties, whose details were omitted from official records produced during and after the First World War. The missing names mostly relate to soldiers and officers who died of their injuries away from the battlefield. Many died while still in service. Casualties who were discharged as unfit because of their injuries and subsequently died often in the care of their families are recorded and are also eligible for commemoration. The cases are coordinated and presented to the CWGC by families, historians and researchers, but particularly a group of dedicated volunteers of the 'In From the Cold Project'. Each case is evaluated and forwarded to the relevant government for a final decision. 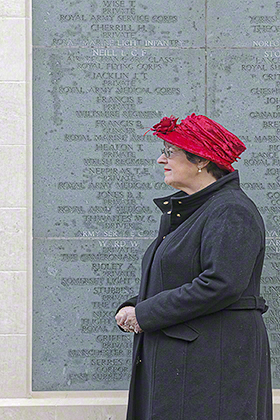 The memorial has been designed so that new names can be added as the task of commemoration continues.